Railpictures.ca - Robert Farkas Photo: CN 3106 and 6863 sit in CN’s Spadina engine facility in Toronto on June 13, 1972. | Railpictures.ca – Canadian Railway Photography – photographie ferroviaire Canadienne. 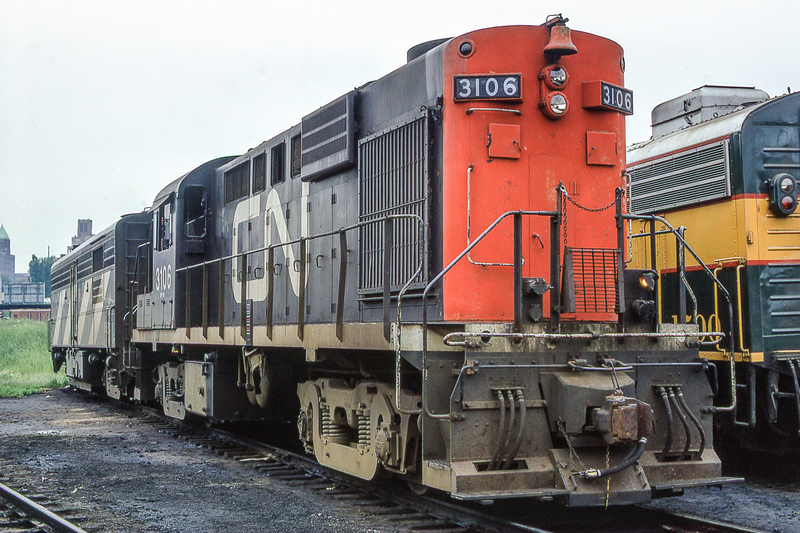 Caption: CN 3106 and 6863 sit in CN's Spadina engine facility in Toronto on June 13, 1972. Nice. Strangely enough, I don’t ever remember seeing that particular unit in service. Perhaps it was an infrequent visitor?